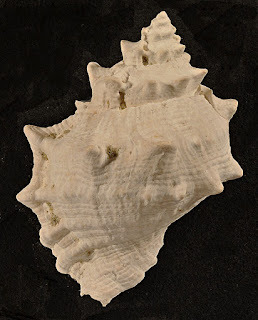 Bursa californica (Hinds, 1843) is a modern-day, shallow-marine gastropod (ocean snail), whose fossil record goes back to the early Pliocene (about 3 million years ago). 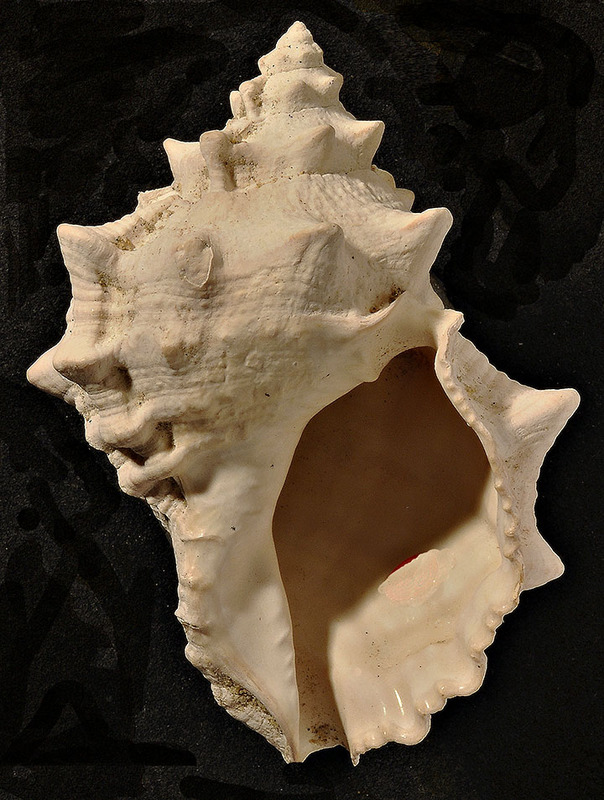 Genus Bursa Röding, 1798 belongs to the small family of large sea shells called Bursidae. 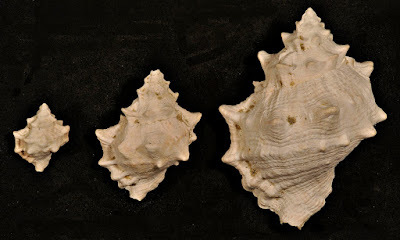 Their common name is "frog shells" because the intersection of spiral and transverse ribs can result in a strong nodulose pattern of many knobs, producing a "warty" or "frog skin" appearance. 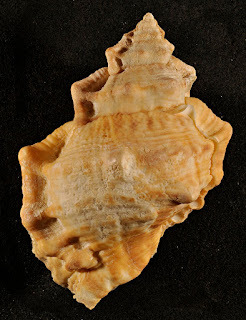 Bursa californica, also known as the "Californian Frog Shell," is characterized by having mostly two protruding ridges (varices) along the left and right margins of the shell. Nevertheless, the warty appearance is not evident on this particular species. 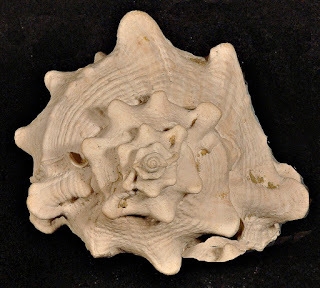 Bursa californica is found from Monterey, along the central coast of California, to the Gulf of California, mainly in offshore waters. The animal lives mostly on silty-sand bottoms in depths of about 60 to 350 feet. They are active predators and feed on bristle worms (polychaetes), which they anesthetize with acidic saliva. After a storm, some of the shells can wash up on an adjacent beach. 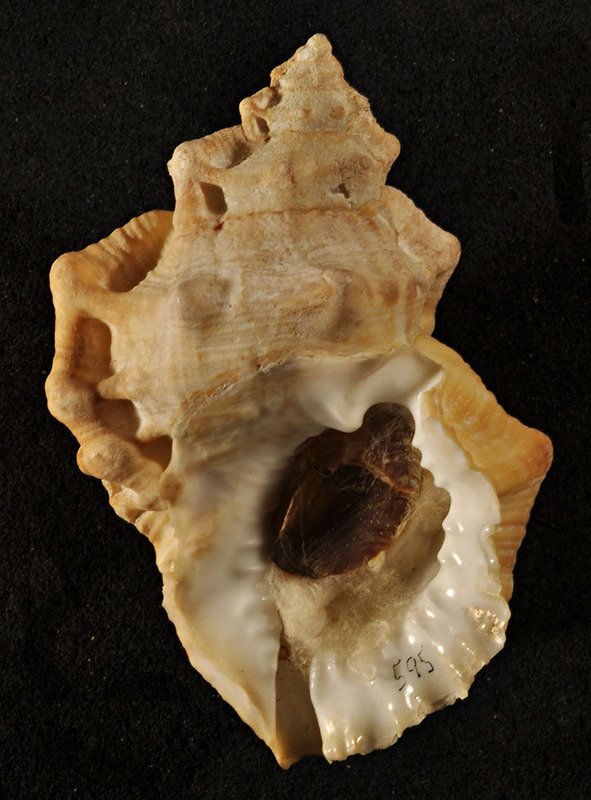 The shell is tan-cream in color with a whitish aperture (opening). (9 cm height) from Mexico. Abapertural view of same specimen. Top view of spire of same specimen. of Bursa californica from Palos Verdes Peninsula, southern California. Specimens 2.7, 5 cm, and 8 cm high.